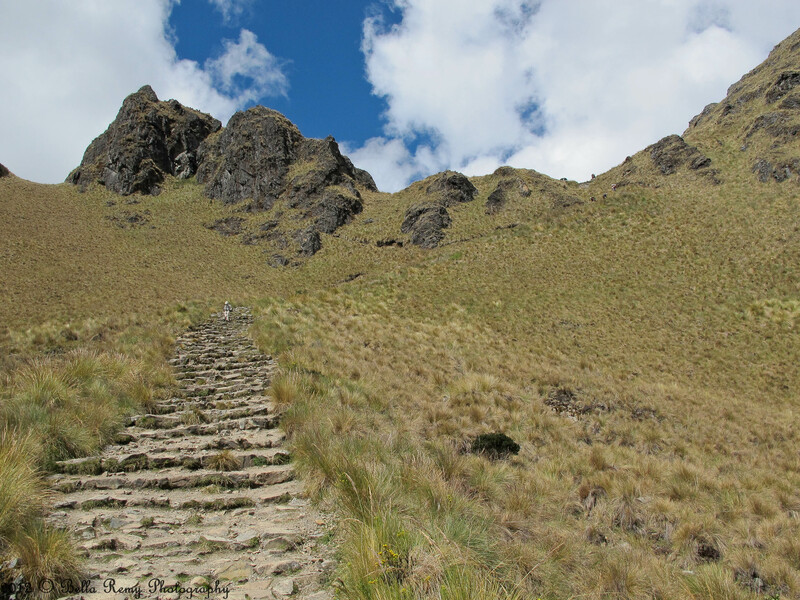 The most up I’ve ever done in my life is climbing up the Andes mountains for two days to reach the Dead Woman’s Pass on the Inca Trail. I’ll never forget the experience and sometimes forget just hard it really was. These images should easily refresh your memory, wow! How old is this? This is from last May, so just under a year ago. Hardest thing I’ve ever done, But I’d do it again! Wow! It’s hard to convey how steep a mountain (or anything else) is with the monocular vision of a camera, you really pulled it off! 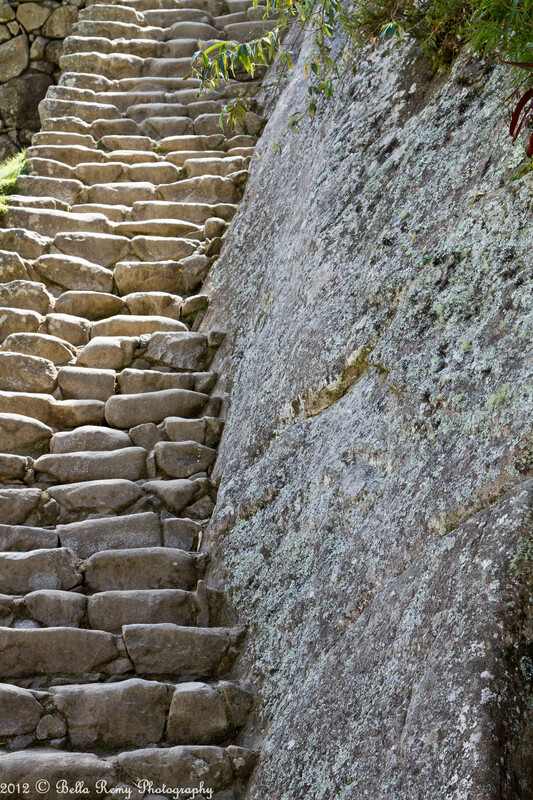 The funny thing is Liana, some are the original inca steps, others are built in recent times to help erosion on the trail. They look the same though. The stone they use is amazing, it doesn’t wear down. What a trek. I’d probably think twice about going to a place called Dead Woman’s Pass. 🙂 Beautiful photos. It was such a glorious, life changing experience. Once you get to the pass, it’s well worth the pain. That looks like quite a climb! Amazing! You have NO idea Phil. I trained for four years to do this hike successfully. You must have a good set of lungs to breath the thin air. Actually, I really don’t. I had exercise induced asthma and between this hike and 3 months of bronchitis this winter, I am now a full-blown asthmatic. Didn’t stop me though. I just went really really slow. 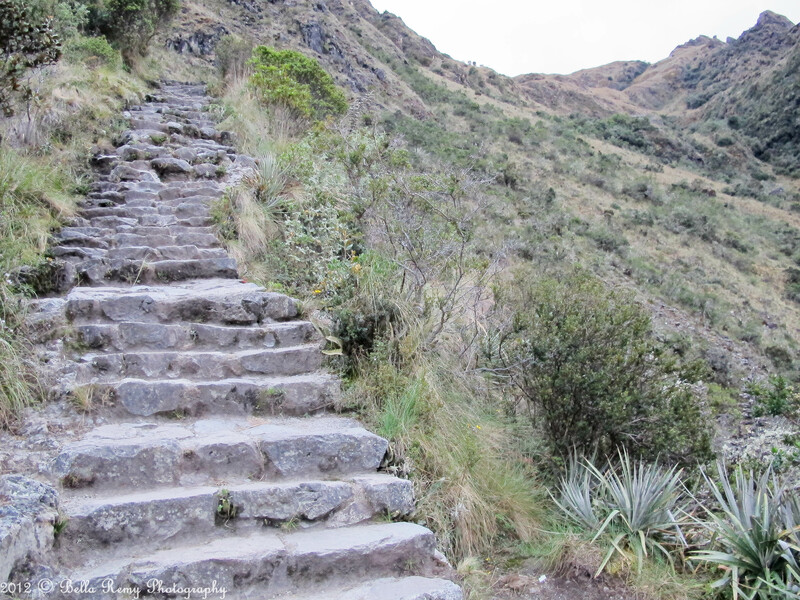 It took ten breaths at the top (13,700 feet) before taking a step. You helped me climb the stairs!!! This is so true and wish I knew this wisdom when I started hiking. It’s far better to think one step at a time, then seeing the true challenge. Just wonderful…. I will go. Oh yes, I will go. Literally Drake. Thank you so much! It truly was. Thank you so much! I love the height you get with the images, and I can feel your pain as you climbed up, I don’t know that I would do it.